The biryani has had such a long history of evolution that it could very well deserve its own bollywood movie rendition complete with drama, comedy and a song and dance routine. 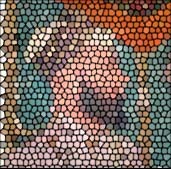 With origins that extend as far as ancient Persia, where in its most primitive form – was rice cooked after frying in oil. The Biryani got a major facelift if we may use the word, during the era of the Mughals who bought the dish with them, thanks to a history of Persian influences. Obviously the Biryani at the time was not very reminiscent of the decadent dish overflowing with chunks of meat, potatoes and spices enjoyed today with a side of yoghurt and green salad, but never the less the evolutionary journey of the Biryani took a boost in the kitchens of the Mughals. Its said in the 16th century Mumtaz Mahal, the beloved wife of the Mughal emperor Shah Jahan on a trip to the army barracks, found the soldiers malnourished. This prompted her to request the chef to prepare a dish that would comprise of all the necessary nutrients and especially included the proteins and carbohydrates of meat and rice. The result was biryani. Another albeit somewhat apocryphal rendition of the modern biryani’s origin traces it back to Timur Langue, the dish is then believed to have been introduced into most of India after Aurangzeb invaded southern India. Irrespective of its origins, the humble biryani has come a long way. From being served as the dish of kings, to its many variations today. There are no many renditions of the biryani that it’s taken on a genre of food on its own. Biryani is prepared now with not just meat, chicken or fish but even as late you can get prawn’s biryani, a vegetarian rendition called a Tahari(because its hard to imagine a biryani for herbivores) and even we’ve received wind of a lobster biryani served in a popular deli in the UK. And if those weren’t enough variation on the Biryani, you can now order it as a fast food takeaway in a styrofoam plate, a complete departure from its apparent royal origins. 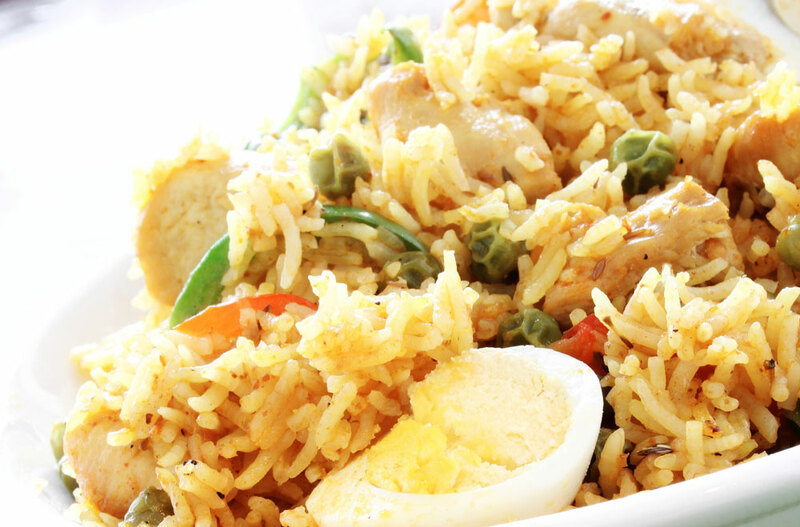 The evolution of the biryani took on a number of renditions during its history. There are different versions of Biryani native to regions of the sub continent each unique in a number of aspects but despite their differences still maintain the preliminary dispositions as a biryani. The Hyderabadi biryani – which is seen as the pinnacle of the biryani, is prepared with basmati rice and a blend of aromatic spices – traditionally its prepared with chicken instead of goat. In Lucknow, the rice and the meat are partially cooked separately then layered and cooked in its own steam – a process called dum. The Bombay biryani, popular in Mumbai – has a distinctive yellow color and is prepared with onions and yoghurt. Thalassery biryani is popular in the regions of Malabar, and differs in the type of rice used as well as that it incorporates a large variety of spices such as sultanas, fennel cumin seeds, tomatoes, mace and cashew nuts. The Kolkatta biryani is a variation on the lucknowi Biryani, only this version also includes potatoes and is fairly lighter on spices than its northern counterpart. The Bhatkali biryani, popular in areas of Karnatake – is a variation on the Bombay Biryani only it includes larger quantities of onions. The Sindhi Biryani – popular in Pakistan, employs a myriad of spices and is prepared with meat or chicken as well as potatoes and garnished with parsley. The Murgh Dum Biryani from Sigdi – fit for a king, delicious. There’s so much that can be said about the humble biryani. Each recipe for a biryani carries with it a heritage that has been handed down from generations. Sigdi takes pride in bringing to Dubai the culinary heritage of the Mughals. Its the closest thing to dining with the Mughals in the heart of Dubai – Mir Baqawal heavily recommends the Murgh Biryani. Serves two with a starter or perfect for dining on your own when really hungry.